Although the release date is more than 18 months away, it looks like director Rupert Wyatt may be stepping away from Dawn of the Planet of the Apes. 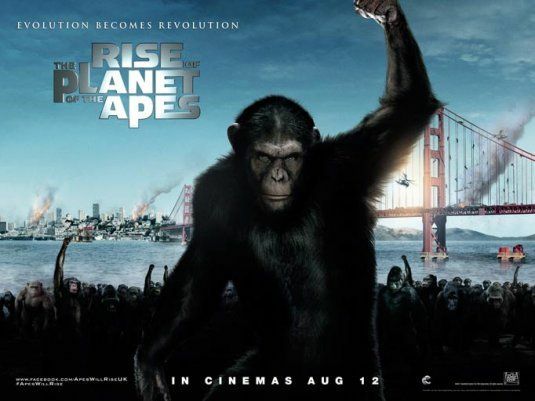 Wyatt directed the 2011 reboot/prequel, Rise of the Planet of the Apes and was expected to return for multiple sequels along with star Andy Serkis. Now, reports are coming out that Wyatt is exiting the production with the explanation that he doesn’t feel comfortable making the expected release date of May 23, 2014. Hit the jump for much more, including what this move means for the future of the sequel and for Wyatt’s career. Deadline reports that Wyatt may be exiting Dawn of the Planet of the Apes, but Fox has declined to comment. If Wyatt’s explanation is to be believed, his departure would be similar to that of director Gary Ross when he opted not to direct The Hunger Games: Catching Fire due to the studio’s time constraint, even after the first film’s phenomenal success. Wyatt was certainly a major component to the success of Rise of the Planet of the Apes, but much like Ross’s situation, we will have to wait until the sequel comes out before we can say whether the directors were integral to the quality of the films or if it was just a rabid fan base for both properties that drove up the box office numbers. Without Wyatt, Fox will be on the hunt for a director to step in quickly. The franchise is too important to waste any time and the studio is already reportedly satisfied with the script turned in by Rick Jaffa and Amanda Silver. The follow-up film should see the apes taking over the world and possibly talking, which the screenwriters talked about briefly. Don’t feel too bad for Wyatt if he leaves the production. He’s also attached to direct Agent 13 for Universal with Charlize Theron starring. He may now be able to revisit Londongrad, which was to star Michael Fassbender as former KGB spy Alexander Litvinenko, who was poisoned with Polonium-210 back in 2006.